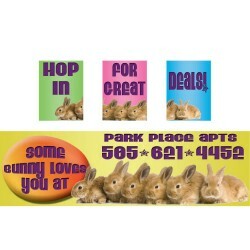 You have to smile when you see our cute spring bunnies. 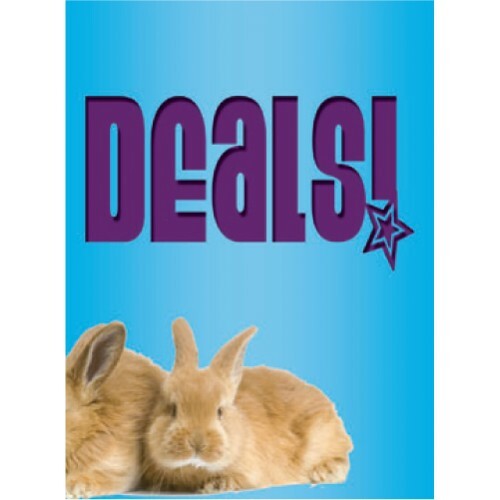 Yes, some bunny loves you, we do. 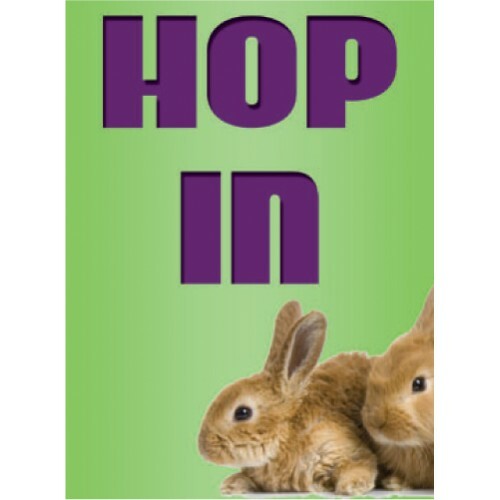 The Spring Bunny signs are 24" tall by 18" wide and digital print vinyl on coroplast. Use with..